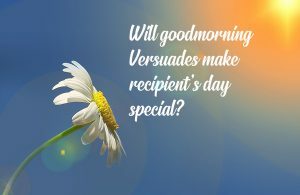 Will good morning Versuades make recipient’s day special? Globally, it’s believed texting a Good Morning message every day isn’t as sincere as one would hope. In lieu of receiving multiple text and photos throughout any given day many associate a good morning text as something rather mundane. However, a “unique” good morning message conveys a wish for somebody’s well being, welfare and good luck. Greeting Good morning is similar to belief in hope. It is a warm gesture; a prayer to keep us motivated and inspired. To ensure despite it all, an adequate message invested shows the receiver the overall context of “Good Morning” means we really care. Good morning Versuade is all about wishing others a fresh start, a new beginning and a promise for good things to occur. What does a Good Morning Text mean? It means you have concern and care about the receiver. You show the receiver adoration having him/her in your life. It makes the receiver feel a sense of confidence as they approach the new day. Sending a message is a great way to be chivalrous in an environment where chivalry has been a lost form. The presence and absence of Good Morning Messages has the power to turn the receiver’s day into a great one or an unfortunate 24 hours. It is a beautiful feeling for both the sender and the receiver. A good morning text can turn a monotonous day into something special. Love is an emotion that drives mankind! There are numerous ways of expressing love and a good morning message is just one of them. A romantic good morning message to your better-half will not only lift their spirits but also make the bond stronger. So, use romantic Good Morning messages to bring a front a continued smile. Morning is a blessing that every individual enjoys. Sending morning Versuades to your friends and wishing for their well-being is a lovely gesture indeed. A good morning versuade will surely make your friend’s day bright and energetic, and also be cherished thoroughly. At the end of the day by sharing we are demonstrating respect! 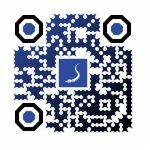 Versuades USP is expressive content and it demonstrates love, warmth, and care through innovative, authentic and quality expressions. There is no doubt that a Good Morning Versuade makes the recipient’s day a memorable experience. So, express yourselves via a Versuades and say Good Morning at your heart’s content.